The Mission of The $10 Club is simply to save the world, ten dollars at a time, by involving people everywhere in philanthropic pursuits. The $10 Club encourages ‘microphilanthropy’ where individuals donate $10 each month to fund veg-friendly poverty alleviation projects in developing nations. By pooling the funds together, the $10 Club helps participants make a substantial, positive impact on education, health care, clean water access, hunger, and other issues facing the poor. Bio-Justicia’s CAMPDA (Coalicion de Activistas Mexicanos Por los Derechos de los Animales) plans to have a seven-month (May-Nov 2010) educational campaign on the link between water waste and meat consumption in Mexico. The name of the campaign is: “Ahorra Agua, Consume Menos Carne,” which translates to “Save Water Consume Less Meat.” The outreach campaign will take place in Mexico City, Queretaro, Puebla, San Luis Potosi, Xalapa, Monterrey and Guadalajara. The plan is to leaflet at educational centers (universities, high schools and technical institutions, neighborhood associations, nonprofit organizations, religious groups, etc.). In addition, teams of volunteers will host educational events such as media engagements, performances, and public speaking engagements. The Farm is a non-profit vegetarian organization and ecovillage. Program areas over the past decades have included research into food and energy applied sciences with the goal of improving food security and reducing dependence on fossil fuels; demonstrations of alternative economic and social experiments; and multidisciplinary research into mechanisms for narrowing the gap between the developed and developing world without undue cultural and environmental impacts. The biochar soil-building technique is an environmentally-friendly way to increase food security and reduce global warming, as it sequesters carbon and enhances soil fertility by building a vibrant soil food web. Volunteers provide free vegan meals to the hungry every week in the District of Columbia. Food is also shared with the general public around the nation’s capitol at concerts, festivals and other public events. The group also provides nutrition and educational materials. Additionally, volunteers provide vegan meals once a week to the homeless vendors of Street Sense Newspaper, the Washington, D.C.-based 16-page bi-weekly street newspaper. With this grant, Feed DC will be buying 50 pounds of organic short-grain rice, 50 pounds of pinto beans, spices, a large stainless steel cooking pot and more bowls and plates. They will also provide information about the benefits of a vegan diet for health and the environment to those eating with them each week. The Food Chain Newsletter provides information and support for people interested in going vegan, and it fills an important role by helping people stay vegan. The Food Empowerment Project is in the process of creating twelve colorful newsletters (one for each month), which address a multitude of issues and provide information about topics such as: animals in factory farms, the environmental and human impacts of animal consumption, vegan recipes (some from leading chefs), nutrition questions and answers by MD & RD experts, and many other resources. Food Chain is a printed newsletter because many people may ignore e-mail but look forward to receiving something tangible (and something they can share) in the mail. A year’s worth of newsletters are free and provided as a public service. Food For Life Global is setting up a new FFLG office/kitchen in New York City. Funds will be used for kitchen and gardening equipment. The purpose of the office will primarily be to support FFL projects around the world, however, the center will also host nutrition classes and workshops on indoor hydroponic gardening. Indian Vegan Society promotes a vegan lifestyle in harmony with nature. IVS’s main purpose is to spread a message of compassion through school visits, newspaper articles, public talks, vegan music and other events. IVS will conduct 40-50 school programs within the next 12 months to bring awareness about veganism to more school students. The expectation is to reach about 5000-6000 students with the vegan message. The International Fund for Africa seeks to eradicate hunger by educating communities and inspiring people about the value and benefits of plant-based eating. IFA operates on the principle of Ahimsa (nonviolence and respect for all life) and its founder’s deep and abiding belief in biocentricity and the interconnectedness of all life. IFA promotes non hierarchical and non-exploitative relationships between human beings and all other life forms. Jungle Friends’ “Volunteers to Vegans” initiative combines their primary mission to help primates with their passion to promote a compassionate vegan lifestyle. 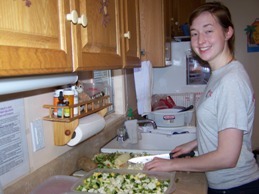 When volunteer groups come to the sanctuary, JFS rewards their hard work with a scrumptious vegan meal. This is the perfect opportunity to introduce non-vegetarians to the delicious world of vegan food and provides a great forum to discuss the many aspects of veganism and to promote a more compassionate lifestyle. 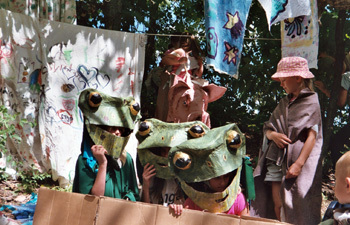 Little Artshram is a collection of artists, musicians, environmentalists, and community gardeners committed to learning, celebrating and co-creating with children, youth and their families in the Grand Traverse community. Their mission is to inspire both a deeper learning and daily practice of the Permaculture ethics that guide them: caring for people, caring for the earth and giving something back. Fowl Play is a feature-length documentary that provides an in-depth look at the plight of factory-farmed laying hens and helps viewers make the connection with their food choices. The film also addresses the conditions endured by “free-range” and “cage-free hens.” Mercy For Animals is launching the film with premiere screenings (including vegan food outreach) in states such as Ohio, Illinois, North Carolina and New York. Additional distribution will take place through grassroots screenings, the internet, and independent film channels. The cornerstone of the grassroots outreach are screening packets, which will consist of a free DVD, MFA’s “How to Organize a Successful Screening” guide, promotional posters, comment cards, and MFA brochures. 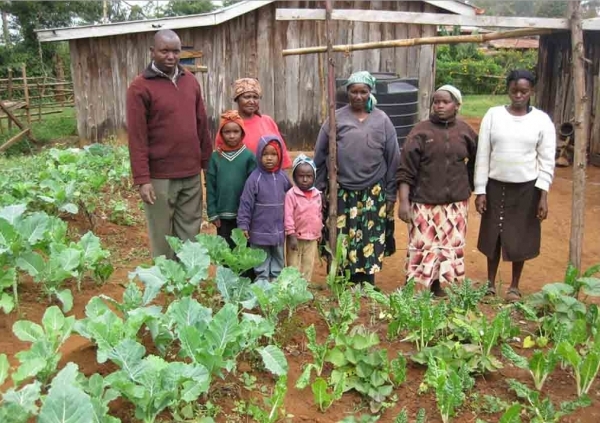 Organic Agriculture Centre of Kenya is a non-governmental organization (NGO) whose mission is to raise awareness about organic agriculture in Kenya and to work with Kenyan farmers to empower them to achieve food security. In addition to its farmer trainings, OACK is proposing a new project to train young people in organic kitchen gardening by planting three new school gardens. It is hoped that this new activity will empower Kenyan youth to have a better sense of the importance of gardening for sustainable food production at the household level. The PB&J Campaign is an online initiative that encourages people to fight global warming, save water, conserve habitat, and cut back on water pollution by eating more plant-based meals. The goal is to reach at least 125,000 people directly and at least 75,000 indirectly through advertisements on social networking sites such as Facebook, as well as on other websites, which could save about 24,350 tons of CO2-equivalent emissions, 10,800 acres of land, and 2.5 billion gallons of water over a year. NEW: 2012 – PB&J Campaign is now an official program of A Well-Fed World. The mission of Vegan World Radio, through production of its weekly radio broadcasts and use of other social media (including Facebook and Twitter), is to encourage, educate, and inspire the world to adopt animal-free lifestyles, in particular, to adopt and embrace vegan diets. 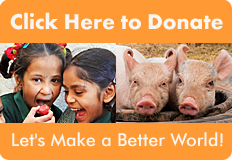 One of Vegan World Radio’s primary goals is to provide an educational foundation to alleviate the world hunger epidemic by disseminating information concerning the link between animal foods/agriculture and world hunger. Their broader mission is to inculcate peace, nonviolence, and compassion through their programming, with the goal of working toward a vegan world. Working Villages International is a non-profit organization dedicated to building self-sufficient, environmentally sustainable villages all over the world. The village model is founded on Gandhian principles of meaningful employment and local production for local consumption. Instead of solving problems at the symptom level, WVI addresses the root causes of hunger, unemployment and violence using a development model that can be adjusted to almost any region worldwide. WVI is building a pilot village, the Ruzizi Project, in the Democratic Republic of Congo, which will act as a living blueprint for effective, long-term African development. In July 2009, it was discovered that 40 tons of rice was being stored in workers’ homes due to lack of appropriate storage facilities. As much as 80% of the harvest spoiled in the elements because of insufficient indoor space. Therefore, the priority is to build a brick kiln so that the staff at the Ruzizi Project can manufacture bricks to build food storage space.